1 Bedroom Flat For Sale in Bournemouth for Offers Over £90,000. 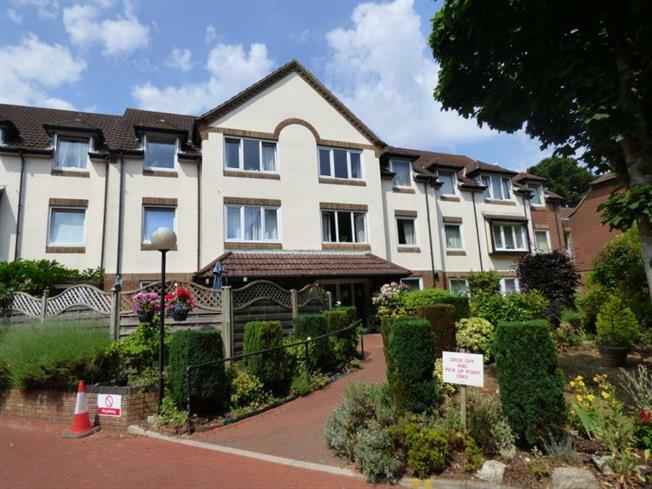 Offered for sale is this one bedroom first floor Retirement Property constructed by McCarthy & Stone and situated in this popular location opposite Queens Park and the Golf Course. The accommodation comprises Entance Hall, Living Room with archway to Fitted Kitchen, Bedroom and Shower Room. Park View Court occupies landscaped Communal Gardens. There is also a Residents Lounge, Guest Suite, Communal Laundry, Lift to all floors and use of restaurant in adjacent nursing home. There is also a resident house manager and emergency call system. It is a condition of purchase that residence be over the age of 60 years, or in the event of a couple, one must be over 60 years and the other over 55 years. Sellers Incentive one years Service Charge to be paid.